With Novatech’s undying passion for innovative lighting and vision installations, it’s no surprise that Vivid Sydney is a natural beacon each year for the Adelaide based creative team. And in 2018 Novatech upped the ante – literally- with an installation as daring as it was technically & logistically challenging. 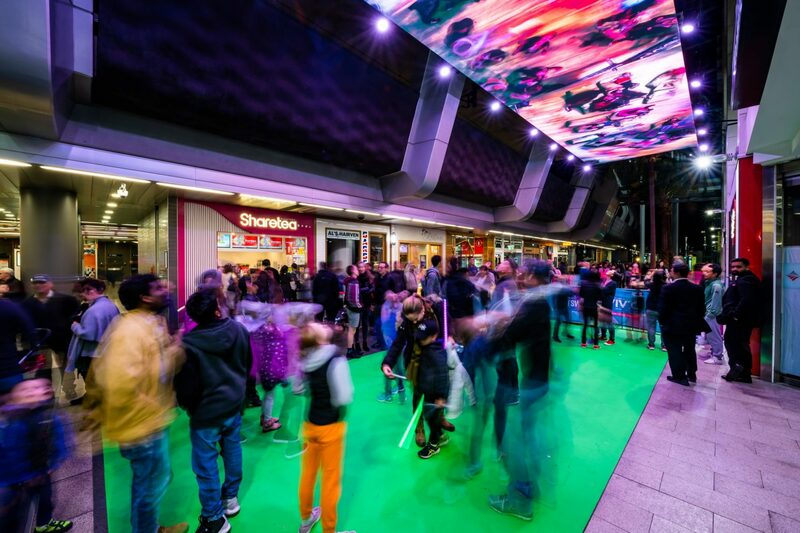 Based in the heart of the Willoughby City Council, the Chatswood interchange area became the focus of several installations that Novatech were involved with the flagship being the Sky Portal. The Sky Portal was a large traditional LED screen mounted horizontally above the thoroughfare of one of Sydney’s busiest travel interchanges. A green screen vinyl canvas was placed on the footpath below the LED screen where several cameras captured the audience from above. The cameras placed images the audience on the screen & in amongst content where they could interact with scenes such as the great barrier reef. Novatech used media servers from leading UK company, disguise (formally d3), to process the content and the green screen material ensuring the images were displayed evenly across the 20m long LED screen. The installation was able run autonomously throughout the 3-week period with remote monitoring from Novatech’s Adelaide headquarters. 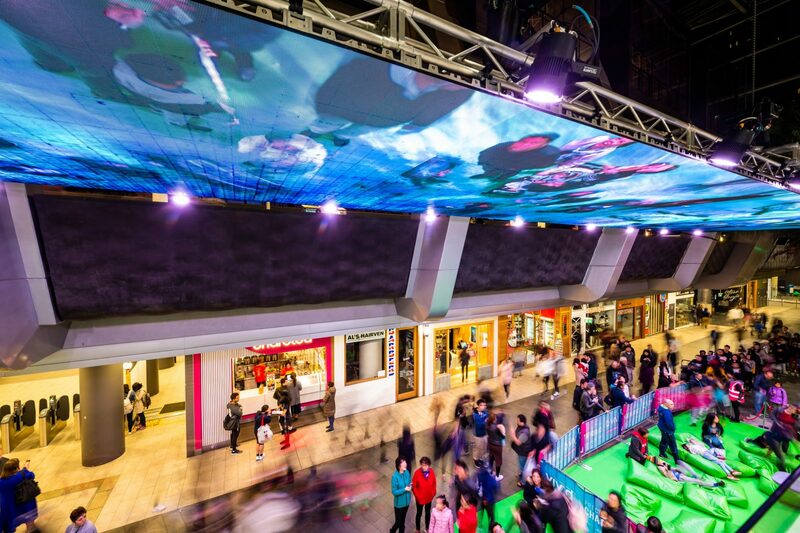 Novatech worked closely with fellow South Australian Company, Nexstage Rigging and Staging Technologies in the complex task of suspending the LED screen above the busy pedestrian precinct. A sophisticated truss structure was designed in collaboration with engineers to ensure a safe and sturdy structure for the significant weight of the LED panels and cabling to be supported. This was highly important given the structure was attached to the train interchange where the rumbles and vibrations of suburban trains traversed with high frequency. 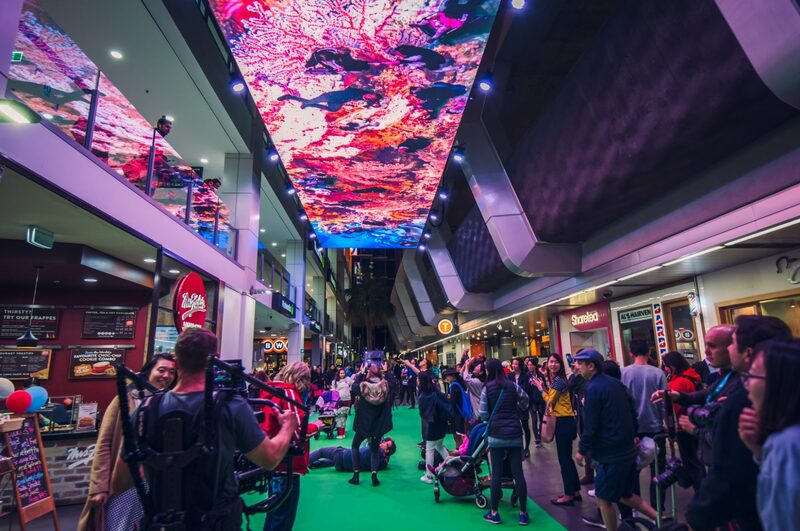 Novatech also deployed several other lighting and projection installations throughout Chatswood for a fully immersive destination outside of the CBD. Leko Novakovic, Novatechs managing director remarked “we love returning to Sydney each year and bringing a small portion of the city to life throughout the globally renowned festival that is Vivid Sydney. We were thrilled to work with the Willoughby City Council in such an ambitious and technically challenging project such as the Sky Portal. With the right teams around us, the end result was mesmerising and attracted a lot of engagement from the passing crowd”. Novatech loves providing solutions where other companies dare to tread. Making the dream come true and innovating with technology is what drives the creative heart of the business. The collective minds are at work looking at Vivid Sydney 2019 may hold in store!